This is the real deal! Reminds me of Dr. Jim Walton who makes house calls on the urban poor and staffs a weekly clinic here at CityWalk. Health care reform calls for a new commitment to healing and respecting healthcare and basic wellness as a human right. Occupy movement learning what homeless have long known. . . Received the article summary below recently. Barbara Ehrenreich likely knows more about poverty, the decline of the working class and the growth of the underclass in America as anyone alive today. Her article is significant, and rooted in very literal reality. The logistics involved in maintaining the Occupy Wall Street protests turn out to be some of the very activities that homeless people have been banned from doing in most cities for years. 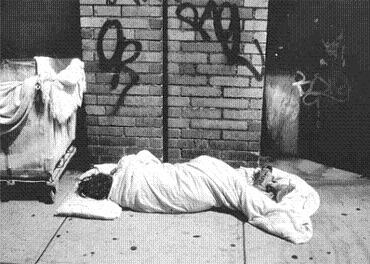 Barbara Ehrenreich argues that there is common cause between OWS and the homeless; that the financial elites that have destroyed the middle class have also criminalized homelessness, and that, as a result, most of what constitutes survival in public spaces has become illegal. 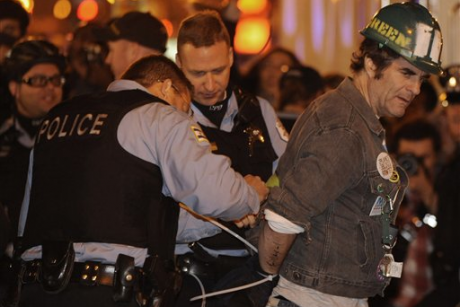 "What the Occupy Wall Streeters are beginning to discover, and homeless people have known all along, is that most ordinary, biologically necessary activities are illegal when performed in American streets — not just peeing, but sitting, lying down, and sleeping. It is illegal, in other words, to be homeless or live outdoors for any other reason. It should be noted, though, that there are no laws requiring cities to provide food, shelter or restrooms for their indigent citizens...What occupiers from all walks of life are discovering, at least every time they contemplate taking a leak, is that to be homeless in America is to live like a fugitive." To read the entire Ehrenreich essay click here. Reactions welcomed! 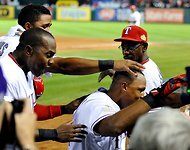 Check out this New York Times story on Rangers' manager, Ron Washington. Good stuff! Find out who's noticing the work of CitySquare's best-practice AmeriCorps team! Click here and look for the report on Dallas. Or better, click here and read the report on our Dallas work. Or best of all, click here and see who else is paying attention! Way to go, CitySquare AmeriCorps team! Humor me, I'm an aging grandfather! Pictured below you'll find real treasure. Gracie cheers on one of her school's football clubs. 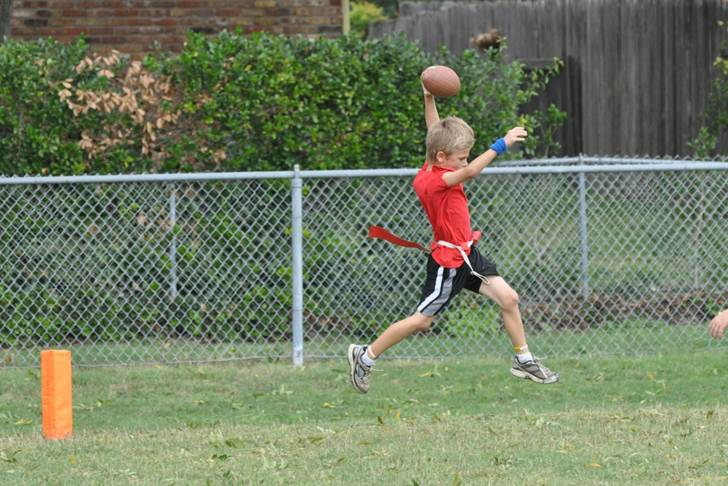 Owen mixes it up on the soccer field. Henry clowns and makes everyone smile. 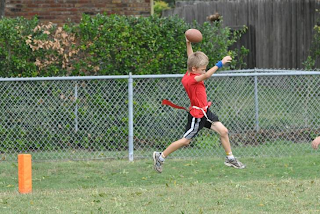 Wyatt scores a touchdown after a long run during a flag football game. Pure treasure, I tell you, pure treasure! God, bless the children; these and all the rest. Priceless, priceless. Recently, Chris Oliver, one of our outreach workers to the homeless who live on the streets of the central business district here in Dallas, shared the following story with me. It is not an exceptional story really. However, it is, like so many others I could report, powerful. Actually, this reports on two women. Tara, a young girl in a terrible spot. And, Daneille, the dedicated leader of our team of street outreach workers. We were first alerted to Tara in May by the Dallas Police Department. Daneille was the first to make contact with Tara, a sweet, scared, attractive 17-year old runaway from Arkansas. Initial contact included establishing trust, with Daneille gently listening to the young girl’s story, even sitting on the pavement with her outside The Stewpot under the hot sun. Though Daneille would get a little closer with each encounter, Tara would constantly refuse any help and run off again to her encampment under an I-45 bridge. Then one day, as I’m doing some early morning paperwork in the office, in walks Daneille followed closely behind by Tara. For the next three days, Daneille mothered Tara like she was her own daughter. Daneille spent her own money to feed Tara, let Tara play games on her computer to keep her engaged and occupied, brought in a radio and CD’s for Tara to listen to, called in personal favors to find her shelter and used her personal vehicle to get Tara there and back. Tara stayed in the office with us from morning to as late as 8-9 pm each day, and stuck to Daneille like glue. The whole time, Daneille was working tirelessly on accessing services for Tara, both here in Dallas and back in Arkansas. Her persistence eventually paid off as Daneille was able to contact Tara’s support system back in Arkansas as well as get her hooked up with the appropriate agency here in Dallas that would work on getting Tara back to Arkansas safely. I was with Daneille when she brought Tara to the CPS office at the end of the third day, and though Tara was reluctant at first to go along with the plan, Daneille was able to console her and show her that this was for the best and everything would be alright. There were tears all around as Tara gave Daneille a big, long hug before saying good-bye. A few days later, Tara was back safely with her support system in Arkansas. Since then, Tara has called Daneille on several occasions to let her know how well she is doing, the most recent of those calls coming just last week. This is just one of many similar stories illustrating how Daneille has set an example for me to follow by going above and beyond the call of duty to ensure that we get our neighbors the help they need. 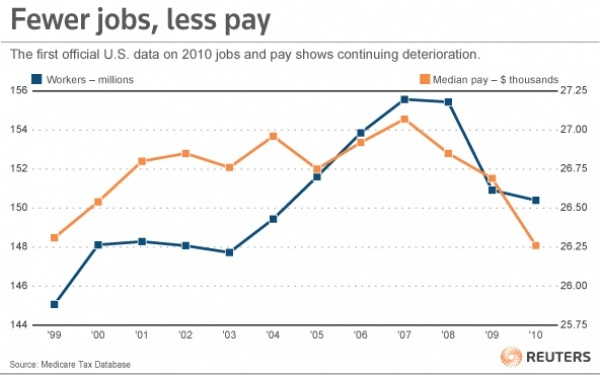 Half of all U. S. workers earned less than $26,364 in wages during 2010. That's the latest based on payroll taxes reported to the Social Security Administration. To read a complete analysis of the data click here. CityWalk, our Downtown affordable housing development here in Dallas, uses "means testing" to qualify residents according to tax credit rules that are tied to a major source of the funding used to convert the old office building to homes. Under these rules a tenant is allowed to earn approximately $27,000 annually. Anyone earning more than that ceiling cannot live in the building. So, over 1/2 of all working Americans are eligible to occupy one of our apartments! Most people regard the building as "affordable housing" for low-income persons and families. This fact illustrates something about the reality and pervasiveness of poverty in our country. It also forces some questions on us about our attitudes toward "the poor" in our society, don't you think? Check this out from Jon Bon Jovi and his foundation. Bon Jovi visited CitySquare earlier this year to discuss housing for the homeless with our team. Watch to the end, there are actually several cuts of videos here. It doesn't get any better than this if the subject is baseball! Many people don't understand the challenges facing "poor" people. Actually, I cringe at the word "poor" simply because of how we reserve its use for stereotypical understandings of persons who live with the constant disadvantage of little or low income. In my book and around CitySquare we've long ago recognized that everyone is rich and everyone is poor, just in different ways, dimensions and measures. But, to my point. The wonderful people who cross our paths daily are fundatmentally the same as the people with almost unlimited means who support our work at CitySquare. What follows is another story about a very special neighbor who is doing his part to make our community stronger. I gotta tell you, people like Kevin keep me going! I've known him for over a decade now. Michelle Kopel, one of our leading neighbor advocates, wrote this short report. Kevin McCarver is a 40-year-old, single African American who is developmentally disabled. He graduated from high school in 1996. He has been visiting our Resource Center and Food Pantry for years. Kevin receives $674 in SSDI, $40 in SNAP (food stamp) benefits, and is a recipient of Section 8 housing which makes him responsible for $192 in rent each month. Kevin is a regular at our Resource Center. He visits us to supplement his food needs . More importantly he enjoys the personal contact and fellowship with our staff and volunteers. Kevin always takes time to visit with staff, and we all have taken him under our wing. When the Resource Center implemented the $5 administration fee, Kevin stated that he was happy to "give back, and help us to help more people." Kevin actually puts a five dollar bill in an envelope with our name on it as soon as he receives his monthly check. He has told our staff, that he loves us and looks forward to his monthly visits. He has taken ownership in our Resource Center and in the community. Situations such as Kevin's illustrate that our organization is concerned with not only providing quality food and counsel, but even more with providing a gathering place that strengthens our community one person at a time. Two weeks ago, Robert Velasco, CEO of the Corporation for National and Community Service, paid a visit to CitySquare. Here's what he brought back to Washington, DC as impressions of the work we are doing. This essay appeard on the blog page for the Corporation. Find it here. Corporation for National and Community Service CEO Robert Velasco, II, visited CitySquare last month to highlight the work being done to strengthen communities in the Dallas/Ft.Worth metro area. Below is a story that highlights the opportunities that national service can provide. Many Americans struggle with poverty issues. 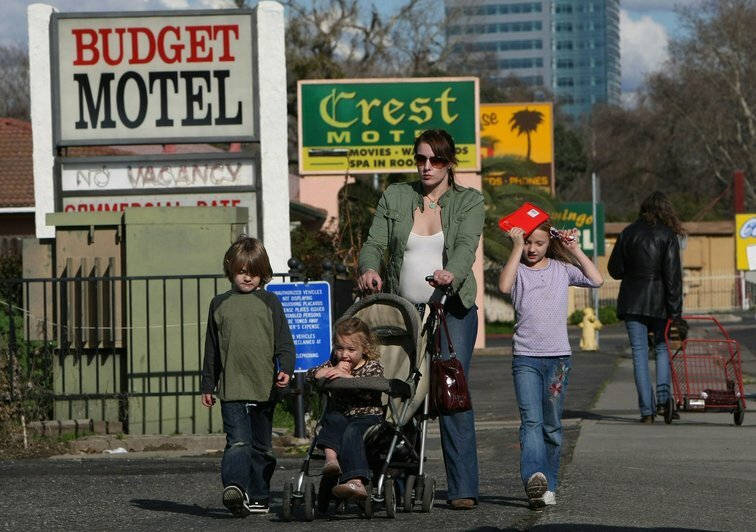 According to the Census Bureau, 1 out of 6 Americans are living in poverty. In the Dallas-Fort Worth Metro Area, more than 14.6% of individuals live below the poverty line and statewide, 4.6 million Texans live in poverty, putting Texas 3% higher than the national average. In the face of unemployment and poverty, one Dallas resident found a pathway to opportunity through AmeriCorps in his search for food and shelter. Employed his entire life, a three year stretch without a job left Chris Oliver evicted from his apartment with no food or shelter. Oliver turned to CitySquare, a local nonprofit that provides vital services to neighbors in search of food and housing. It was there he discovered AmeriCorps. “Before leaving, I filled an application out to become an AmeriCorps member and was accepted that day,” said Oliver. He started work the next day, helping those who were in his shoes one the day before. At CitySquare, there are currently more than 70 AmeriCorps members who work every day to help feed the hungry and tutor at-risk youth. Since 2006, CitySquare has placed and managed more than 1,000 AmeriCorps members. Over a five-year period, AmeriCorps members and CitySquare have partnered with 39 community agencies in afterschool and summer programming and served more than 14,000 youth throughout Dallas and San Antonio. As the issues of hunger and poverty affect more Americans each day, the number of Dallas residents who have turned to City Square has steadily increased. In 2011, AmeriCorps members with CitySquare's Hunger Programs have fed more than 18,500 neighbors and are on track to surpass last year's totals. “The food pantry has seen longer lines of people waiting for food assistance and more neighbors repeatedly having to turn to the pantry for help,” said Amanda O'Neill of CitySquare. In 2010, more than 2.4 million pounds of food, valued at $2 million, were distributed to more than 27,000 people, or about 12,000 families going through a financial crisis. AmeriCorps members have also helped implement the Nurture Knowledge and Nutrition Feeding Programs, serving more than nutritious meals and snacks to at-risk children in day cares, after-school and summer programs. As for Chris Oliver, AmeriCorps and CitySquare did more than just help him put food on the table – they've both provided him with a second chance to start his life over. After two years of service with AmeriCorps at CitySquare, Oliver was hired for a full-time position with the organization to work in the homeless outreach program. Jose came to the United States when he was a very young child. No one in the family had the documents needed to be in the country legally. Like almost all immigrants to the U. S., Jose's family came to find and to make a better life. 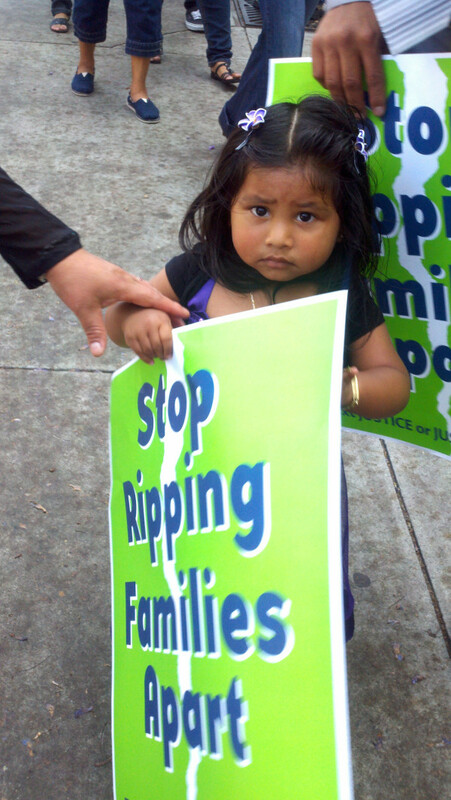 Today, Jose faces deportation. Recently, Jose married his sweetheart, an American citizen. He is in the process of working through the system so that he can stay in this country. He will be required to leave and go back "home" to Mexico, even though he won't know anyone when he arrives. He is nervously trying to line out his plan with high hopes of returning to his wife as soon as possible. Like in the case of lots of controversial issues, once you know someone personally who faces a very difficult situation like Jose's you just look at things differently. Jose is a fine young man. He comes from a very fine family of extremely hardworking people. He has never been in trouble with the law. He has been a good young man. He is exactly the sort of person we need to stay in the country. I'm wondering why our leaders can't step up and deal with immigration reform so that we create a new way for our neighbors to the south to come and go to the benefit of all concerned. Because of my friendship with Jose and his family, the following story about a federal court's ruling on the very harsh immigration laws now in force in Alabama caught my eye. We've got to find a way to do better and to do the right thing by our fellow human beings. After all, we are a nation of immigrants. A federal appeals court issued a ruling Friday that temporarily blocked parts of an Alabama law requiring schools to check the immigration status of students but let stand a provision that allows police to detain immigrants that are suspected of being in the country illegally. The 11th U.S. Circuit Court of Appeals issued the order after the Justice Department challenged what is considered the toughest immigration law in the nation. The opinion also blocked a part of the law that makes it a crime for immigrants to not have proper documentation. 45.2 million know what it's like; Could you survive on food stamps? Washington, October 5, 2011 - The director of the National Council of Churches Poverty Initiative is calling on Americans to feel a greater empathy for persons struggling to survive in the current economy. 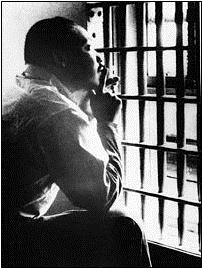 "In everything do to others as you would have them do to you," said the Rev. Michael Livingston, quoting from Jesus' sermon on the mount, Matthew 7:12. "This golden rule has been cited or rephrased in nearly every religion known. It is the glue that binds us together as a human family, especially in times of common need." Livingston noted that a member of Congress has challenged her colleagues to spend a week finding out what it is like to live on food stamps, and he challenged members of churches and religious groups to do the same. Rep. Barbara Lee (D-Calif.), co-chair of the Congressional Out of Poverty Caucus, issued the 2011 Food Stamp Challenge to last from October 27 to November 3. "The USDA recently reported that 14.5 percent of Americans are food insecure," Lee reported to members of Congress. "In June of this year, a staggering 45.2 million Americans filed to get food stamps because they either are facing or living in poverty. More than half of food stamp recipients are children and 8 percent are individuals over the age of 60." She challenged her colleagues to spend a week attempting to live on "what a person on food stamps survives on." Persons on food stamps receive $133.79 per month, Lee said, which amounts to $31.50 a week, $4.50 a day, or $1.50 a meal. 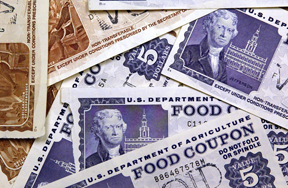 Livingston said millions of Americans would be hard put to live on the food stamp program. "We often hear people express the belief that persons living in poverty are well cared-for in this country," Livingston said. "Anyone who accepts Representative Lee's challenge to step into the shoes of food stamp recipients will quickly realize how difficult their lives must be." Livingston said he hoped the exercise will convince members of Congress "that there is also an urgent need to protect the budget of all government programs that support persons living in or facing poverty. "Doing unto others must be a fundamental rule of government," Livingston said. "Experiencing how others live is a first step toward putting that rule into action." Persons interested in participating in the food stamp challenge as well as other Mobilization related strategies should check out the fighting poverty with faith webpage. To register to take the Food Stamp Challenge click here. A major retailer has donated new toys, bikes, house wares, Prestone anti-freeze(! ), linens, boys PJ's, and many, many more items to our CitySquare Thrift Store. Of course, it is all marked far below retail prices. For Christmas, or anytime, there could not be a better time to save money on gifts and items you will need. Spread the word among your friends and family in or near Dallas, Texas! Watch and listen long enough to hear what Joe has to say about poverty and Christianity. Just tonight I watched her walk, hand-in-hand with her mother up the crowded downtown city street. Traffic rushed past without notice. Her spindly legs seemed barely able to support her small frame. So fragile, I waited for the wind to whisk her away. She must have been all of 6-years-old ... faded cotton dress ... ragged little tennis shoes ... a pair of much too large glasses. A huge Barbie Doll backpack with the look of having arrived from some "in-touch" charity drive was draped across her small shoulders and somehow did not fall to the ground. Her mother appeared homeless or at least lost on the streets. Maybe they were headed to the bus station or possibly to one of the family shelters. She begins her life far behind the curve set by kids like my grandchildren. This little girl has little chance in this country of ever "making it." Will she finish high school? What are her chances for college? When will she become a mother herself? I wondered about her current health and her health care options. Where would she sleep tonight? Would she ever be truly safe? Where were the boundaries of her world when it comes to love, affection, opportunity? Did she know her daddy? Did he know her? I didn't like the obvious answers that came to me instinctively. For some reason as I watched this unremarkable pair walk the street, I thought of the church and its members and its leaders--me. I thought of a thousand books I'd read dealing with some grand thought or seemingly priceless theological or psychological nuance that was meant to "help me" do better, feel better, get on better. I thought of all the Sunday School classes and all the sermons and all the seminars and all the praise and worship times and sessions and trainings. I remembered countless learning opportunities. I considered all of my "advantage". And I realized in that one defining moment on that downtown block as I drove home after a day in my pampered world that all of it was rubbish, worthless, foolish, a horrible waste--an illusion and worse, a delusion. For all the claims, most of the essential, highly regarded stuff of my world is simply not true. That one little first grade girl and her life and her mom--that is true and more, the life I caught a glimpse of today is the only truth that really matters. The game is far, far from fair and just and livable. And, of course, I know it is much, much worse elsewhere even in my city, not to mention the vast, teeming Third World. This fact causes me problems with "business as usual" faith, serious problems. One thing I do know: all my advantage with its vast world of words and ideas has done nothing to prepare me for handling the ultimate, undeniable truth delivered to my heart this evening by one tiny little creature stumbling along down a very busy, unknowing city street. "Blessed is anyone who does not stumble on account of me"--that statement has always been intriguing to me. Why would anyone "stumble" or take offense (meaning of the phrase) at someone taking care of the physical needs of people as a front-and-center, core proposition of one's faith vision? Jesus' "action list" presents quite a resume of relief, doesn't it? People who can't walk now able to walk on their own. Those with no hearing now able to receive and process sounds. The dreaded lepers now cleansed of their physical and social maladies. Even those who've passed on and over brought back to life. And, get this, good news is being proclaimed to the poor. The list ascends to the most surprising outcome of all that Jesus did: he included the poor at the center of his mission and his kingdom. Maybe now I'm understanding this idea of "taking offense" or stumbling over the acts, agenda and engagement of Jesus. You can still see the "offense," the "stumbling" today, can't you? Much of the time the most deeply offended claim to be followers of the person who creates the surprising offense. claim to follow Jesus, the great offender. Surely, this is not what Jesus made central to his life, work and teaching? So it seems, and just there we face up with the offense! So, today around the world, preachers will call out his name, the name of Jesus. I wonder, will anyone be offended? Will anyone stumble over the real nature of his life and work? I hope the spokespersons today will be clear enough to create some much-needed tension in the heart of the church. 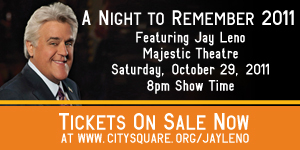 A Night to Remember 2011--Tickets flying out the door: Act NOW! 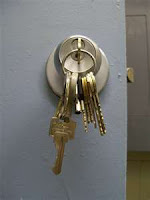 This will sound strange, possibly even a bit comical to people like me who've just not thought about it; but the most routine problem we face at CityWalk at Akard (our Downtown building that provides high-quality, affordable housing for working people and formerly homeless neighbors) involves forgotten keys. People are constantly forgetting to carry their keys with them when they leave their apartments. As a result, it seems someone is always locked out of an apartment. It can be a real aggravation for everyone. Of course, the tenant who's locked out is not happy. After hours, the problem is magnified due to security concerns at the front desk. The night watchman cannot leave his/her post. Often the remedy to the crisis involves a call to the fire department and a damaged lock set or worse, door and door facing. I unlocked a door earlier this week before leaving the building at the end of the day. Why is this so hard for people? Why don't they carry their keys? Why do they forget them so often? The answer hit me in the wee hours. People who've not had a home for a long time aren't accustomed to thinking in terms of keys or locks. Their world has been defined by large open sleeping areas with lots of other people where there is little privacy. Their experience is all about someone else controlling the keys either to lock them in or to lock them out. If you sleep behind a building in the "shelter" of an ally, up against a wall, you have no use for a key. You don't think about a key. We usually regard the aggravating nuisance of lost keys as an example of irresponsibility. There may be some of that involved. But I'm convinced it's a much deeper issue. It's about settling in at last. It's about coming to terms with housing as a new, permanent fact of life for folks who'd forgotten all about having a home of one's own. Forgetting keys is just a normal marker on the way to new life. I believe folks who forget their keys don't need scolding. They need a cup of coffee and a conversation about the real meaning of a key. I have a hunch conversations like that would help. Most would lead to lots of smiles and maybe a few tears of relief. The Embrey Family Foundation has been one of most committed partners in the work we do in inner city East and South Dallas. Their program related investment of $1,000,000 got our campaign to develop the new Opportunity Center at Malcolm X and I-30. But the foundation, led by Lauren Embrey has tackled so many cutting edge efforts it's hard to describe the impact of their work. One of the most unique among their many efforts has been the founding of the Chair of Human Rights at Southern Methodist University. Now the work of that original investment has resulted in SMU offering a major in Human Rights, placing the university in a very distinguished club of universities offering the degree. Adriana Martinez knew SMU was the place for her when she heard about its growing human rights program. By her junior year, the native of Mexico was on the ground in Tucson, Ariz., talking to law enforcement and community members about immigration. Getting out of the classroom and into the world is just one of the reasons human rights has become SMU’s fastest-growing program since it became a minor in 2007. After receiving strong support from deans and faculty members at the university, the program was approved by the SMU Board of Trustees as the university’s newest major earlier this month. SMU is only the fifth university in the U.S. to offer human rights as a major and the first west of the Mississippi River. “It’s something I’d waited for, dreamed of,” said Rick Halperin, an SMU professor since 1985 who helped start the human rights program and is its director. Halperin said he believes the new major appeals to the “idealism of youth” and young people’s desire to make the world a better place. More than 200 students are working toward the minor. “I’ve always believed …young people who have a fervor and passion to make the world better would be attracted to it in large numbers,” Halperin said. Students can begin taking classes toward a major in human rights this spring. Past classes count toward the major. The major has two tracks: gender and human rights and public policy and human rights. Students must take 12 hours in a foreign language. The human rights program was created in spring 2006 with a $1 million donation from the Embrey Family Foundation after Lauren Embrey and her two sons went on a 10-day school-sponsored trip with Halperin to Holocaust sites in Poland. Every student majoring in human rights will participate in SMU’s annual civil rights pilgrimage through the southern United States, where students visit historic sites. Multiple trips will be available for students to take each school year. Trips to Brazil, Poland, Rwanda/Uganda and Ukraine/Croatia are scheduled for 2012-13. “Even as an undergrad, you can conduct your own research in ways you can’t at other universities at an undergrad,” said sophomore Michael Dearman, an English, philosophy and political science major who took part in an independent study class in which he looked into human rights abuses. The human rights program is housed in Dedman College, home to SMU’s liberal arts majors. 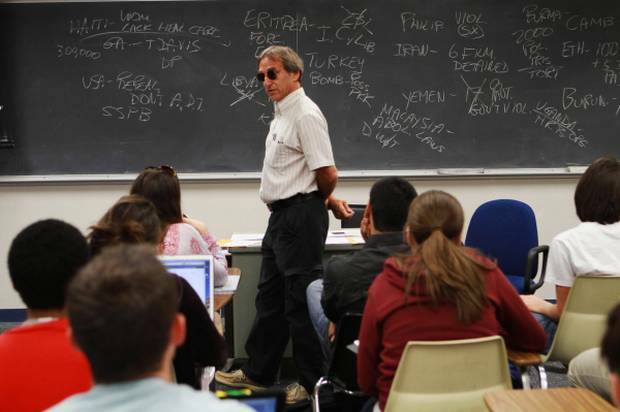 The bulk of human rights classes are history, political science, philosophy and anthropology. But some courses are cross-disciplinary, such as an art history class about the Holocaust, a human rights and journalism course and a corporate ethics and social responsibility class in the business school. Elazar Barkan, director of the Human Rights Concentration at Columbia University’s School of International and Public Affairs, said graduates there often find work with nongovernmental organizations and humanitarian groups. But he said that more traditional companies are thinking about human rights issues as well. That’s something Dearman is counting on. Martinez wants to work in a public sector job in Mexico after working in the U.S. Embassy there last summer. In addition to her human rights minor, she is majoring in French, history, political science and public policy. Halperin says it’s the hard work of his students that motivates him to keep developing the human rights program. “I know the average student does care about these issues and wants to do something,” he said. It is the strangely irrational notion that there is something in the very flow of time that will inevitably cure all ills. Actually time is neutral. It can be used wither destructively or constructively. I am coming to feel that the people of ill will have used time much more effectively than the people of good will. We will have to repent in this generation not merely for the vitriolic words and actions of the bad people, but for the appalling silence of the good people. We must come to see that human progress never rolls in on wheels of inevitability. It comes through the tireless efforts and persistent work of men willing to be co-workers with God, and without this hard work time itself becomes an ally of the fores of social stagnation. We must use time creatively, and forever realize that the time is always ripe to do right. Now is the time to make real the promise of democracy, and transform our pending national elegy into a creative psalm of brotherhood. Now is the time to lift our national policy from the quicksand of racial injustice to the solid rock of human dignity. Years ago, when I was a very young minister, I had a conversation with a much older minister friend. During our visit, my older colleague counseled me that "there was never a reason or a justification for creating division in a church." On the surface that sounds like good, sound, common sense advice. However, the subject of our discussion that day was racism. 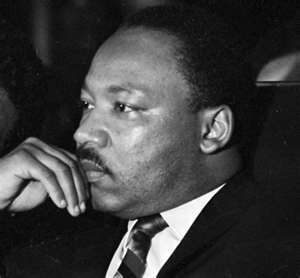 I had described how I was challenging racist attitudes inside my congregation in Shreveport, Louisiana (1973-1975) and how my sermons created tension and some discord among the members of the church. My friend's response was to counsel me to avoid any subject that might lead to division, including racism. I disagreed with him strongly at the time. I've heard that same advice applied to any number of issues many times since those early days of my ministry. I heard them again just a couple of weeks ago here in Dallas. On this occasion the subject had to do with how a community provides adequate housing resources for the poorest among our neighbors. Our discussion related to where such housing could be/should be located. The problems of site selection for housing developments for the formerly homeless always come up whenever a project is suggested or being planned. Usually such projects face stiff opposition from neighborhood groups no matter where they are located. My friend, a minister in Dallas, shared with me that he and his church were all about "building community." He told me that a plan they had developed for housing the homeless met with a great deal of opposition in the community where they intended to build it. Once they were aware of the opposition, they "backed off" out of their "commitment to building community." Frankly, I'm not sure what the church's responsibility should be in "building community" among those who oppose basic human rights among the poorest of our fellow citizens. But, that's what he said. Of course, my question had to do with who speaks for the unorganized, extremely poor who live in our city without the benefit of housing or, even more importantly, voice. What about the community enjoyed by or denied the poorest among us? What about battling the self-interested, well-housed on behalf of and alongside the marginalized, ill-housed out of compassion and a well-developed sense of fairness, equity and justice? It's the same question I began with almost forty years ago now. The particular subject matter of my conversations change, but the call to stand with those who are isolated and so easily dismissed remains the same, at least to my way of thinking. Is a community organized and standing against the weak, the minority and the excluded one that I need to regard with deference, let alone respect? I don't think so. If you stand against basic human rights, I'm no longer obligated to support your claims no matter who doesn't like it or what part of the community descents. On Friday, a number of us had the privilege to meet with Robert Velasco, II, the CEO of the Corporation of National and Community Service, best known for its AmeriCorps program created in 1993. Talking with Mr. Velasco for over two hours allowed me to rehearse some fairly amazing facts and stats about our AmeriCorps program here at CitySquare. 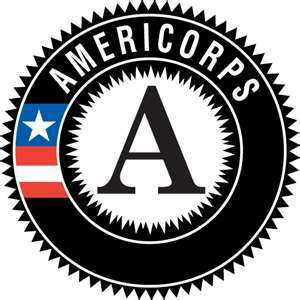 The list could actually go on and on as to the benefit and cost effectiveness of the AmeriCorps program. I've witnessed amazing "return on investment" in human and community capital over the past 6 years that we've been involved with AmeriCorps and the Corporation for National and Community Service. Upon my return to the office from my meeting with Mr. Velasco, I learn that members of the U. S. House of Representatives have crafted a legislative plan to end almost all of the work of the Corporation of National and Community Service! A truly absurd, short-sighted, ridiculous plan. At a time when we need to find inexpensive ways to get things done, provide educational services for children and leverage scarce resourses, destroying AmeriCorps and its family of service solutions makes no sense whatsoever. Please take action today to tell your Senators and your member of Congress that you support continuing the vital work of the Corporation for National and Community Service. 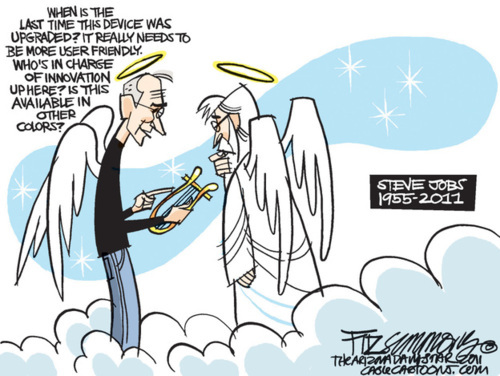 I've studied fundamentalism and its theology for many years. I've also been very interested in the variations on the theme that might be called "end time movments." These theories extend back to the earliest centuries of Christian thought and down into our present, extremely perplexing times. No matter the shape or tradition that defines your faith, it seems to me that Sutton's analysis below is worth reading. As always, I welcome your responses. I wonder how many Americans are aware of the linkages? THE end is near — or so it seems to a segment of Christians aligned with the religious right. The global economic meltdown, numerous natural disasters and the threat of radical Islam have fueled a conviction among some evangelicals that these are the last days. While such beliefs might be dismissed as the rantings of a small but vocal minority, apocalyptic fears helped drive the antigovernment movements of the 1930s and ’40s and could help define the 2012 presidential campaign as well. Biblical criticism, the return of Jews to the Holy Land, evolutionary science and World War I convinced them that the second coming of Jesus was imminent. Basing their predictions on biblical prophecy, they identified signs, drawn especially from the books of Daniel, Ezekiel and Revelation, that would foreshadow the arrival of the last days: the growth of strong central governments and the consolidation of independent nations into one superstate led by a seemingly benevolent leader promising world peace.